Apple recently held its developer’s conference, and like Google, showed a few fun things coming for its users including a new way to listen to music. Coming this fall, IOS 9 brings new capabilities to iPhones and iPads. IOS 9 offers the ability to remind you of events and understand your needs depending on your location and other clues. Reminiscent of Google Now, IOS 9 will remind you of an upcoming event if it has seen it mentioned in an email to you. It wants Siri to become your proactive personal assistant. It can also show you news relevant to where you are, and if you plug in your headphones at the gym, it will start playing music for you, if that is what you commonly do at the gym. Apple stressed this parsing of your personal data happens on your phone, while Google’s processing happens on Google servers, necessitating your data being shared with Google’s algorithms. Apple Spotlight allows Siri to search within apps on your phone. The Apple mapping program now shows transit information for many cities, including Washington. Apple beefed up its Notes app. I haven’t used Notes but it sounds like Evernote or Google Keep. It lets you save information from websites, from your notes or by taking a photograph. This information is available to you on your iPhone, iPad and Mac PCs. Apple News is an app that lets you pull up news of the world, country, and locale pertinent to you. Using a Flipboard like user interface, it lets you choose the kind of news in which you are interested, and shows it to you in a clean, magazine-like format. As it goes along, it learns what you like and finds new material for you. Publishers will be able to keep 100 percent of the revenue from ads they sell and 70 percent of the revenue from Apple sold ads. Publishers are motivated to share their content where there is an audience, without loss of revenue. iPad users of IOS 9 can now have two apps open on the screen at one time, which will make researching and writing easier. Apple Watch now has its own API, meaning apps written for it can run entirely on the watch and not need an iPhone close by. This should make Watch apps faster and more useful. In its final announcement, Apple’s revealed its “One more thing” was Apple Music. This is a streaming-music service that lets you stream any song in the iTunes music catalog, even if you have not purchased it. It will cost $10 a month. There will be a three-month free trial and there will even be an Android app for Apple Music – Apple’s first Android app. Also, good for families is a $15 a month family plan allowing up to six users. 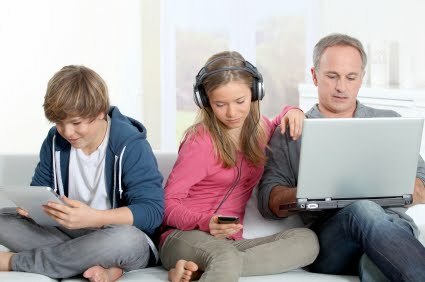 Each user is truly unique, so the music the 15 year old in the family listens to will not impact the recommendations Apple Music makes to the 45 year old in the house. There will be tools to allow artists to interact with fans, building a community and solidifying their fan base. And there will be a 24-hour streaming radio station with carefully curated music to help listeners discover new music, one of the biggest challenges in music marketing today. Apple Music is aimed squarely at Spotify, a streaming service also with a large music library. Spotify has premium and family plans competitive with Apple’s and a free ad supported level as well. Apple Music is coming June 30 to Apple devices, and later in the year for Android. Apple announced a new version of the operating system for Macs, OS X El Capitan. It will be a free upgrade coming this fall. It includes a new graphic engine game which developers will likely put to good use. “We have always been shameless about stealing great ideas,” Apple’s Steve Jobs has said. Some of what we saw announced did seem inspired by other tools. The Safari web browser in El Capitan, for example, will now indicate which of its tabs is making noise, a capability other browsers have had for some time. Siri’s proactive personal assistant capabilities were definitely inspired by Google Now. Apple had to find a way to give users the ability, while being careful with user’s privacy. The transit data shown now in Apple Maps has been in other navigation tools for a while. This is how this industry works. Xerox’s Alto and its windowing systems begat the Apple Lisa, then the Macintosh, and Microsoft’s Windows. Certainly much that is in Android phones was inspired by iPhones. It’s tough on manufacturers, but ultimately benefits us consumers. I've written about LastPass in columns before as a good repository for your passwords. LastPass is urging users change their master passwords after a recent intrusion. Doesn't sound like this is the end-of-the-world for LastPass users, but I have changed my master password, and suggest everyone follow LastPass' advice. While there may one day be a Windows 11 and then 12, Microsoft is transitioning Windows into a service. This means improvements to Windows will be incremental with new features being downloadable as they become ready. After 10’s release, there will no longer be a long wait and then massive changes and improvements in one big release. First though, we have to get through the upcoming Windows 10 release slated for July 29. For many of us Windows 7 and 8 users, Windows 10 will be free for the first year. And no, you did not miss a Windows 9. Microsoft decided 10 was such a big deal, it decided to skip the 9 nomenclature entirely and jump to 10. What’s in Windows 10 is no secret. It released preview versions months ago and I’ve been running it in a virtual computer, where I can play with it without it being my primary operating system. Microsoft made what is now regarded as missteps with Windows 8 that it has corrected in 10. The Start button and menu is back. Gone are the two “modes” of Windows 8, the standard Windows mode, and the tiles mode. That was always confusing. Windows 10 combines the two. Next to the pop-up Start menu are a few tiles to popular programs and snippets of information. It can be effectively ignored if you choose. Windows 10 supports an entirely new browser called Edge. Internet Explorer has greatly improved in the last few years, but for many was the browser associated with invasive toolbars and security exploits. Among other features, Edge lets you annotate a web page and stores the annotation for you or lets you share your annotation with others. Larger screens let us do more. With Windows 10, we can snap up to four applications on the screen at one time to make multitasking easier. Microsoft has its own Siri-like query ability now. Like Google’s Google Now or Apple’s Siri, Cortana asks Windows questions and it will answer them based on web searches and information it has learned about you. Microsoft is especially proud of how it reminds you of upcoming appointments. Since there are versions of Windows 10 for PCs, tablets, Xbox, and phones, Cortana works across your platforms if you operate entirely in the Windows ecosystem. Developers can even create one app that will run on these various platforms. Also, Android and IOS apps can be modified by their developers to run on Windows 10. And of course, Windows 10 works with both keyboards and touch screens. Windows 10 comes with a number of apps at no cost, including email, maps, photos and calendar. Windows 10 is integrated with OneNote to save new documents to OneDrive easily. OneNote is Microsoft’s online cloud storage like Dropbox. That makes your files available to all your devices and gives them some backup protection. Integrated into 10 is the Windows Store where you can purchase applications and download free apps as well. Its music app is an iTunes-like store where you can purchase individual tracks or entire albums free of Digital Rights Management (DRM), meaning you can move the music freely among your devices. Windows 10 will be a free upgrade for many of us already running Windows 7 or 8.1 at home. If you go to the page listed in this week’s link post at FamilyTechOnline.com, you can reserve a copy. What that means is that if you leave your PC on all the time, your existing Windows will download the upgrade ahead of time, and let you install it on the July 29. Or, you can wait and upgrade anytime during the first year for free. If you have an old Windows XP system, and the hardware will support Windows 10, you can purchase Windows 10 Home for $11, or Windows 10 Pro for $199. Windows Pro is designed for small businesses. If you already have Windows 8.1 Pro, you will get a free upgrade to Windows 10 Pro. There is a link at FamilyTechOnline.com explaining the various versions. You do not have to upgrade now and if your hardware is not powerful enough, you may not be able to upgrade. However, when you buy your next PC, it will likely come with Windows 10.For more of Mark’s online activities and contact information, visit markstout.info. Note: Columns are posted here Saturday morning about 9 AM EST. A friend mentioned earlier today that she wished her phone could hold a charge during one of her longer days. It might be 14 hours from when she leaves the house in the morning, until she gets home. It would be nice if her phone could last as long. I told her about portable chargers, and showed her my 15,000 mah Anker. She made a note of it. When I got home, it occurred to me that she probably spelled it Anchor in her notes. I found myself about to write a long email to to clarify, and add some extra points. Instead, I thought I'd make this blog post. A portable charger is a device about the size of your phone, although it can be larger and heavier, that is in itself a separate battery. Being that it is nothing but a battery, they can recharge your phone several times over. You have seen these a the checkout of your pharmacy. The ones there are small tubular ones that look much like a lipstick. Those are about 2200 mah. Google definition: A milliampere hour (mAh) is 1000th of an ampere hour. Phone batteries are generally 2000 to 3500 mah. Therefore, if your phone is 2200 mah, and your little lipstick Portable Charger is also 2200 mah, it means you can charge your phone a single time from it. Larger batteries are available. Personally, I like the Anker brand and have bought several for the family and as gifts. They have one giant one of 25,600 mah. That would recharge a 3000 mah battery over 8 times. As of today (June 2015), that sells for $80 at Amazon. This link takes you to the Anker Portable Chargers at Amazon. I think the way to find the best value is to discover the cost per mah. That 25,600 mah charger for $80 would get you 320 mah per dollar. A 3200 mah device for $20 would be about 120 mah per dollar. The closest to the one I own is a 16,000 mah for $40. That's 400 mah per dollar. I think that is a pretty good value, but I didn't do the math for each of the many Ankers Amazon offers. The Portable Chargers generally do not come with their own charger, but charge from any charger for an Android phone. They are dirt cheap. Here are a few I found on Amazon.. Note: All Amazon links here are Amazon Affiliate Links. The Wall Street Journal is reporting that Microsoft has purchased 6Wunderkinder GmbH, maker of Wunderlist. Many, myself included, think Wunderlist is the best task manager / ToDo List manager out there. Wunderlist works with Sunrise, Microsoft's Calendar Program I spoke of in my recent column about Microsoft. Microsoft is inching its way into my Google dominated personal ecosystem.